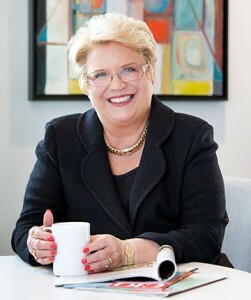 Linda Parker Hudson is Chairman and CEO of The Cardea Group. As the first woman to lead a major national security corporation, Ms. Hudson has transformed careers, companies and industries. Through her innovative leadership Ms. Hudson has turned around failing enterprises, strengthened her companies’ competitiveness in changing markets, structured portfolios through M&A and organic actions, and shaped cultures to attract, develop and retain key talent. Previous to founding The Cardea Group, Ms. Hudson served as president and CEO of BAE Systems, Inc. until January 2014, where she led a global, U.S.-based defense, aerospace, and security company, wholly owned by London-based BAE Systems plc, with approximately 40,000 employees and $12.75 billion in annual revenue. She also served as an executive director on the BAE Systems, Inc. and BAE Systems plc board of directors. Prior to becoming CEO, Ms. Hudson was president of BAE Systems’ Land & Armaments operating group, the world`s largest military vehicle and equipment business, with operations around the world. Before joining BAE Systems, she served for seven years as an officer and vice president of the General Dynamics Corporation and was president of General Dynamics Armament and Technical Products. Currently, Ms. Hudson is a director on the boards of the Bank of America, Southern Company and Ingersoll Rand. She currently serves on the non-profit boards of the University of Florida Foundation, Wake Forest University Charlotte Center, and Center for a New American Security, a bipartisan national security think tank. Ms. Hudson received C200’s 2011 Luminary Award for Corporate Innovation. She has been cited as one of Fortune Magazine`s 50 Most Powerful Women in Business and one of Washingtonian Magazine’s 100 Most Powerful Women in Washington. Washington Business Journal has named her one of its Power 100 and one of the Most Admired CEOs. She was inducted into the Washington Business Hall of Fame in December 2013. In 2013, Ms. Hudson received the Association of the US Army’s Dixon award for her industry leadership and contribution to national security. The Charlotte Business Journal honored her with their Lifetime Achievement Award in June 2015. Ms. Hudson earned her bachelor’s degree in Systems Engineering with honors at the University of Florida where she has also been honored as a Distinguished Alumnus. She is holds an honorary doctorate in engineering from Worcester Polytechnic Institute and received an honorary doctorate in science from the University of Florida in December 2014. At the 2016 Engineering Leadership Summit, hosted in conjunction with the women of the Committee of 200, Ms. Hudson awarded several scholarships to students who have demonstrated strong leadership abilities.